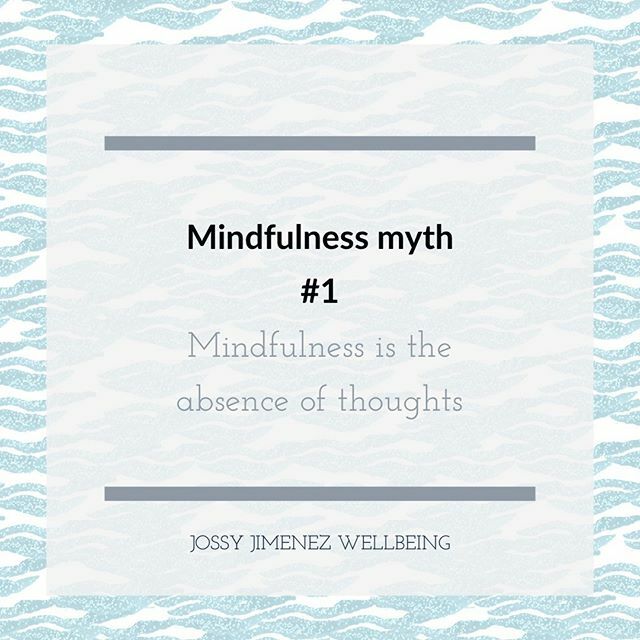 Mindfulness Myths 1: Mindfulness is the Absence of Thought. In this series of posts, I want to try and address some of the common myths about mindfulness. Many of these myths are pervasive. One of the reasons for this, I think, is that the mindfulness “boom” has so rapidly increased demand for mindfulness teaching that part of that demand has had to be met by teachers who, whilst no doubt well intentioned, lack adequate formal mindfulness training or a developed personal practice. Another reason is, I think, that other forms of meditation, yogic practices and relaxation techniques have been re-badged as “mindfulness”, or combined with mindfulness. These practices can all be very beneficial, but they have different purposes and cultivate different qualities of mind. So, when they are combined or mislabelled it can create confusion. I’ll go into this more in future posts. The first myth is that mindfulness is about clearing the mind of thoughts, or shutting the mind off. Mindfulness is not about shutting the mind off, but about cultivating a particular quality of mind: intentional, curious and nonjudgmental awareness of the present moment. Mindfulness is not about becoming blank and vacant, but alert and inquisitive. Mindfulness is not about clearing the mind of thoughts, but becoming aware when they have our attention, rather than unthinkingly reacting to them! This is an important myth to dispel for the simple reason that if we were to think that mindfulness was about not thinking, then the practice would be very demoralising. We would be bound to fail. After all, it is the nature of the mind to generate thoughts. All we can hope to do in the practice is to interact with those thoughts more mindfully - with more awareness and gentleness, and less judgment.